LUDWIG MIES VAN den Rohe stands as one of the 20th centuries most influential architects. Born in Aachen in 1886, he created an influential twentieth-century architectural style, stated with extreme clarity and simplicity. He served as director of the Berlin Bauhaus before moving to America in 1937 where he found ample work and fame for his enduring masterpieces. / More commonly referred to by his surname, Mies embraced modernity and found appeal in the use of simple rectilinear and planar forms, clean lines, pure use of color, and the extension of space. / His epochal work defined an age and era of modernity, clarity and depth and cerebral reflection in design. Some of his most famous works such as the Seagram building in New York remain timeless in their appeal and are striking testaments to his Bauhaus influence. 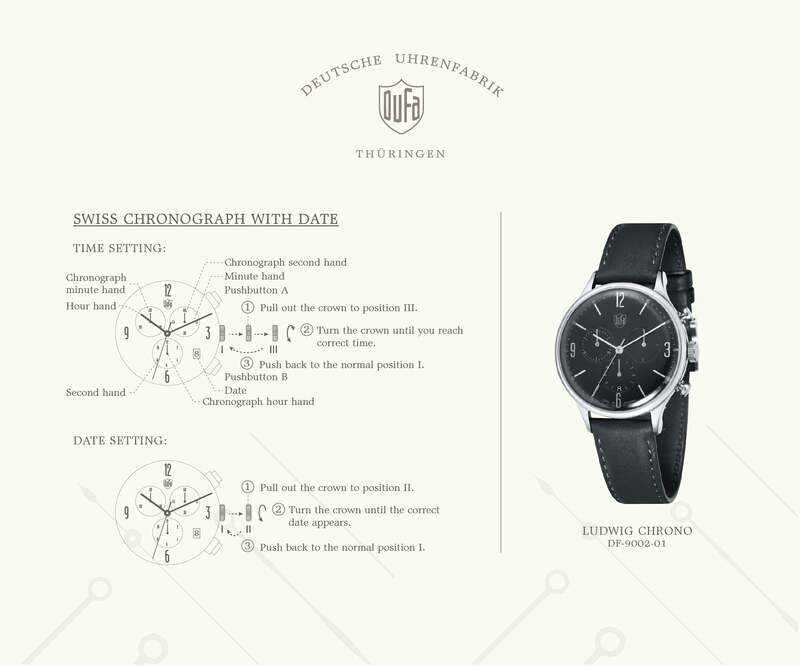 / It is this same essential clarity, simplicity and power in precise minimalism that is found in the DuFa sophisticated expression of German timekeeping excellence.